Welcome to the Overall Program Schedule for the 2019 Winter Convention. Please click on the event name for event description and information on who is eligible to attend. AAJ is bringing top marketing professionals and tech-savvy trial attorneys to Miami. Learn more at Marketing19. Supplemental registration required. Please stop by the AAJ PAC Desk to learn more how to become a PAC donor or upgrade if you are already a donor. Sponsored by FORGE Consulting. During suite hours, members enjoy complimentary breakfast and lunch, a business center equipped with computers, Wi-Fi, printers and a comfortable lounge area to relax and network with other Leaders Forum and President’s Club members. This suite is an exclusive benefit for Leaders Forum and President’s Club members and their guests only. Leaders Forum and President’s Club registration will be located in Americana 1 adjacent to main registration. Breakfast served from 7:30-9:30 am and lunch will be served from 11:30 am-1:30 pm. The AAJ Stalwarts Reception welcomes AAJ Stalwarts and all convention registrants and their guests. In the event of inclement weather the reception will be held in Cowrie 2, located on the 3rd level of the hotel. All registrants are invited to kick off convention by attending the WTLC Welcome Reception, hosted by Julie Kane at her home and sponsored by Milestone. Shuttles will be leaving from the Loews at 4:30 pm. Julie's address is 650 Sabal Palm Road, if you decide to Uber or Lyft. All NLD registrants and their guests are invited to a networking reception on the rooftop of the Gale South Beach! Stop by the Charging Station to charge your device! Sponsored by Garretson Resolution Group. Friends of Bill W. will meet Saturday, February 2-Tuesday, February 5 from 7:00 am to 8:00 am. 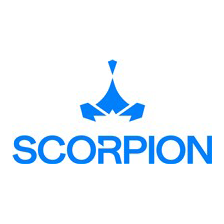 Meet with Scorpion to discuss business needs in their private hospitality suite! Stop by the Exhibit Hall to meet with some of the top legal representatives as they showcase the latest in practice-related technology and services. Visit the PlaybackAAJ Booth for Education recordings, Litigation Packets, Education Programs, AAJ Press books, and more! The Diamond Lounge is sponsored by Counsel Financial and Scorpion. Join AskTheLawyers.com for coffee and breakfast on Saturday morning and meet with the team! Join CAMG for coffee and breakfast on Saturday morning and meet with the team! Join Counsel Financial for coffee and breakfast on Saturday morning and meet with the team! Join Scorpion for coffee and breakfast on Saturday morning and meet with the team! Visit the AAJ Resources Booth for Education Programs, Litigation Packets, AAJ Press books, Section Memberships, and more! This is a private meeting for Injury Board members only. The NATLE Winter Meeting provides continuing education and knowledge exchange for Chief Executives and staff of Trial Lawyers Associations. Join the Appellate Practice Litigation Group at their winter business meeting. For more information about joining a Litigation Group, contact litgroups@Justice.org. All female voting members are encouraged to attend the quarterly meeting of the Women Trial Lawyers Caucus! Join the Railroad Law Section/ Railroad Crossing and Derailment Litigation Group at their winter business meeting. For more information about joining, contact litgroups@justice.org. Open to Litigation Group members only. For information on joining a Litigation Group, contact litgroups@justice.org. Join the Herbicide Pesticide Litigation Group at their winter business meeting. For more information about joining a Litigation Group, contact litgroups@justice.org. Join the Business Torts Section at their winter business meeting. For more information about joining, contact litgroups@justice.org. Stop by and visit the exhibitors during the Caffeine and Happy Hour on Saturday, Sunday, and Monday from 12:00 pm to 1:00 pm. Meet with Askthelawyers.com to discuss business needs in their private hospitality suite! Meet with CAMG to discuss business needs in their private hospitality suite! Meet with Counsel Financial to discuss business needs in their private hospitality suite! Join the Professional Liability Litigation Group at their winter business meeting. For more information about joining a Litigation Group, contact litgroups@justice.org. Join the Zostavax Litigation Group at their winter business meeting. For more information about joining a Litigation Group, contact litgroups@justice.org. Meeting of the AAJ PAC Board of Trustees, AAJ PAC Task Force (State Captains) are also welcome to attend. Join the Onglyza Litigation Group at their winter business meeting. For more information about joining a Litigation Group, contact litgroups@justice.org. Join the ED Drugs-Melanoma Litigation Group at their winter business meeting. For more information about joining a Litigation Group, contact litgroups@justice.org. Join the Mirena Levonorgestrel-Induced Intracranial Hypertension Litigation Group at their winter business meeting. For more information about joining, contact litgroups@justice.org. AAJ's Council of Presidents includes all Presidents, Presidents-Elect, and Immediate Past Presidents of every state and provincial trial lawyer association (TLA). The National College of Advocacy (NCA) Board of Trustees will meet at the 2019 Winter Convention to discuss new and old business. Join the Product Liability Section at their winter business meeting. For more information about joining, contact litgroups@justice.org. Join the Professional Negligence Section at their winter business meeting. For more information about joining a Litigation Group, contact litgroups@justice.org. Join the Ride Share Litigation Group at their winter business meeting. For more information about joining a Litigation Group, contact litgroups@justice.org. All voting members barred 10 years or less are welcome to join the NLD for their quarterly business meeting! The Evergreen Advisory Board is tasked with implementing the strategic plan for the Evergreen Fund, to continue and sustain the growth of AAJ. The AAJ Press Advisory Board will meet to discuss new and old business. Join the The Aviation Section Litigation Group at their winter business meeting. For more information about joining a Litigation Group, contact litgroups@justice.org. Immediate following the Council of Presidents Meeting. Network with fellow Presidents. In the event of inclement weather the reception will be held in Preston's Private Dining Room B. Join the Products Liability Section for complimentary drinks and light appetizers at a post meeting reception sponsored by Garretson. In the event of inclement weather the reception will be held in the Conference Foyer. Join the E-Cigarette Litigation Group at their winter business meeting. For more information about joining a Litigation Group, contact litgroups@justice.org. Join the Admiralty Section at their winter business meeting. For more information about joining a Section, contact litgroups@justice.org. All new members and first time convention attendees are encouraged to attend and network at the New Member Mixer! In the event of inclement weather the reception will be held in Cowrie Foyer, located on the 3rd level of the hotel. Join the IVC Filter, Talcum Powder, and Hernia Mesh Litigation Groups for drinks and light appetizers. Compliments of CAMG. Join the Nursing Home Litigation Group for complimentary drinks and light appetizers at a post meeting reception sponsored by CAMG. This is an exclusive reception for AAJ PAC Eagle and Falcon contributors. Come join us for an exciting time at Nikki Beach. Sponsored by Colson Hicks Eidson. Guest are encouraged to wear winter white. Festivities will take place on the beach so please wear sand appropriate shoes. The Forge Fit 5k Fun Run will begin with a pre-run stretch on the St. Moritz lawn by the pool at the Loews Miami Beach Hotel. Our 5K route will begin on the Boardwalk from Loews to South Point and back, along the Atlantic Ocean. Everyone will receive a free shirt and running gear. Everyone is welcome! The NFC leads all fundraising campaigns in order to provide necessary resources AAJ needs to sustain a prosperous and viable association. Join Public Citizen President Robert Weissman for brunch and an important update on the work we are doing together to protect access to the courts. Join the Power Line Contact Litigation Group at their winter business meeting. For more information about joining a Litigation Group, contact litgroups@justice.org. Join the Insurance Section at their winter business meeting. For more information about joining, contact litgroups@justice.org. Join the Qui Tam Litigation Group at their winter business meeting. For more information about joining a Litigation Group, contact litgroups@justice.org. Join the Workers Compensation and Workplace Injury Litigation Group at their winter business meeting. For more information about joining, contact litgroups@justice.org. Join the Chiropractic Malpractice Litigation Group at their winter business meeting. For more information about joining a Litigation Group, contact litgroups@justice.org. Join the Bad Faith Litigation Group at their winter business meeting. For more information about joining a Litigation Group, contact litgroups@justice.org. Join the Vaccine Injury Litigation Group at their winter business meeting. For more information about joining a Litigation Group, contact litgroups@justice.org. Join the American Indian Litigation Group at their winter business meeting. For more information about joining a Litigation Group, contact litgroups@justice.org. Join the Spinal Cord Injury Litigation Group at their winter business meeting. For more information about joining a Litigation Group, contact litgroups@justice.org. Join the Criminal Law Section at their winter business meeting. For more information about joining, contact litgroups@justice.org. Join the ERISA Benefits Litigation Group at their winter business meeting. For more information about joining a Litigation Group, contact litgroups@justice.org. Quarterly meeting of the Officers and Trustees of the Pound Civil Justice Institute. Fellows of the Institute are welcome to attend. 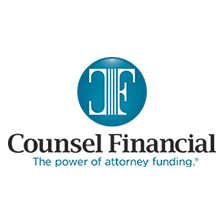 Join us for lunch and the Counsel Financial Diamond Sponsor Presentation! Join Mark Kosieradzki in the Exhibit Hall for a signing of his new book, Deposition Obstruction: Breaking Through, brought to you by AAJ Press. All voting members who self-identify as a minority are welcome to attend the quarterly caucus business meeting! Join the proposed Climate Change Litigation Group at their annual business meeting. For more information about joining a Litigation Group, contact litgroups@justice.org. Join the PFC Litigation Group at their winter business meeting. For more information about joining a Litigation Group, contact litgroups@justice.org. Join STEP at their winter business meeting. For more information about joining a section, contact litgroups@justice.org. Join the Solo Practitioner and Small Firm Section at their winter business meeting. For more information about joining, contact litgroups@justice.org. Join the Essure Litigation Group for complimentary drinks and light appetizers at a post meeting reception sponsored by Stratos. AAJ PAC Task Force (State Captain) meeting, AAJ PAC Board of Trustees are also welcome to attend. Join the Civil Rights Section at their winter business meeting. For more information about joining, contact litgroups@justice.org. Learn how you can help save lives by joining a network of End Distracted Driving presenters. Learn more at www.enddd.org/trial-lawyer-campaign. Great opportunity to Network and Welcome fellow AAJ Members. Join the Section on Toxic, Environmental, AND Pharmaceutical Torts (STEP) for complimentary drinks and light appetizers at a post meeting reception sponsored by CAMG. In the event of inclement weather the reception will be held in the Conference Foyer. Join the Inadequate Security Litigation Group at their winter business meeting. For more information about joining a Litigation Group, contact litgroups@justice.org. Join the Civil Rights Section's Immigration Subcommittee Meeting at their first meeting. For more information, contact litgroups@justice.org. Join the Sexual Assault Litigation Group at their winter business meeting. For more information about joining a Litigation Group, contact litgroups@justice.org. Join Pound Trustees, Fellows and invited guests as we celebrate the Institute's work and present the 2019 Civil Justice Scholarship Award. Join the Sexual Assault Litigation Group for complimentary drinks and light appetizers at a post meeting reception sponsored by Milestone and A Case for Women. In the event of inclement weather the reception will be held in Preston's Private Dining Room B. All registrants and their guests are invited to join the New Lawyers Division (NLD) for a night of dancing and fun! Thomas J Giordano Jr Jr.
7:30am-7:40am Climate Change--Can We Control It Through Litigation? Paul Bland Jr. The Law Offices of Steven C. Laird, P.C. Join the Motor Vehicle Collision Highway and Premises Liability Section at their winter business meeting. For more information about joining a Section, contact sections@justice.org. The Trial Lawyers Care (TLC) Meeting. The Public Affairs Committee will meet to discuss legislation in the new Congress as well as regulatory and rules matters. Join the Bus Litigation Group at their winter business meeting. For more information about joining a Litigation Group, contact litgroups@justice.org. Following the Bus Litigation Group business meeting, join the group for drinks and bites sponsored by Physician Life Care Planning. In the event of inclement weather the reception will be held in the St. Moritz Lobby. Join us to talk about best practices and tools for marketing and practice development. All AAJ members are welcome. Join the proposed 3M Combat Arms Earplugs Litigation Group at their business meeting. For more information about joining a Litigation Group, contact litgroups@justice.org. Join the Silicone Contaminated Eye Injections Litigation Group at their winter business meeting. For more information about joining a Litigation Group, contact litgroups@justice.org. The Stalwarts/Hall of Fame Committee will meet to discuss new and old business. Following the Taxotere Litigation Group business meeting, join the group for drinks and bites sponsored by CAMG. A place for all conservative, libertarian, Republican, limited-government, and/or independent AAJ trial lawyers to network and advocate on behalf of our clients. Join the Electronic Discovery Litigation Group at their winter business meeting. For more information about joining a Litigation Group, contact litgroups@justice.org. Join the Federal Tort Liability and Military Advocacy Section at their winter business meeting. For more information about joining, contact litgroups@justice.org. Join the Trucking Litigation Group at their winter business meeting. For more information about joining a Litigation Group, contact litgroups@justice.org. Join the Zimmer M/L Taper Hip Litigation Group at their winter business meeting. For more information about joining, contact litgroups@justice.org. Join the Family Law Section at their winter business meeting. For more information about joining, contact litgroups@justice.org. Join us for lunch and the Scorpion Diamond Sponsor Presentation! Join the Wright Hip Litigation Group at their winter business meeting. For more information about joining a Litigation Group, contact litgroups@justice.org. The Law Schools Committee will meet to discuss new and old business. Join the Securities and Financial Fraud Litigation Group at their winter business meeting. For more information about joining a Litigation Group, contact litgroups@justice.org. Join the Trampoline Injury Litigation Group at their winter business meeting. For more information about joining a Litigation Group, contact litgroups@justice.org. Join the Employment Law Section at their winter business meeting. For more information about joining, contact litgroups@justice.org. The MDL Working Group will met to discuss proposed rules regulating MDLs to the FRCP. AAJ members are welcome to join the working group. Join the Smith and Nephew Litigation Group at their winter business meeting. For more information about joining a Litigation Group, contact litgroups@justice.org. All members who identify as LGBT or an ally are welcome to attend this membership meeting! Join the Securities and Financial Fraud Litigation Group complimentary drinks and light appetizers at a post meeting reception sponsored by Huntington Bank. The Public Education Committee will meet to discuss recent activity and plan the year ahead. Join the Stroke Litigation Group at their winter business meeting. For more information about joining a Litigation Group, contact litgroups@justice.org. Join the Bicycle Litigation Group at their winter business meeting. For more information about joining a Litigation Group, contact litgroups@justice.org. Join the Opioids Litigation Group for drinks and light appetizers sponsored by Counsel Financial. Meeting for members of the AAJ Committee on the Judiciary. All registrants and their guests are welcome to join the LGBT Caucus for a networking reception! All registrants are invited to attend the joint Public Justice and Minority Caucus reception. Join the FLUOROQUINOLONE (FLQ) Litigation Group at their winter business meeting. For more information about joining a Litigation Group, contact litgroups@justice.org. Join the Preemption Law Litigation Group at their winter business meeting. For more information about joining a Litigation Group, contact litgroups@justice.org. Join the Social Security Disability Law Section at their winter business meeting. For more information about joining a Litigation Group, contact litgroups@justice.org. Join the Wildfires Litigation Group at their winter business meeting. For more information about joining a Litigation Group, contact litgroups@justice.org. Join us for a Webinar on the newest features of TrialWorks and to meet with your peers to collaborate on best practices. AAJ's Exchange Advisory Committee will meet to discuss new and old business. Join the International Practice Section at their winter business meeting. For more information about joining, contact litgroups@justice.org. Join the Benzene/Leukemia Litigation Group at their winter business meeting. For more information about joining a Litigation Group, contact litgroups@justice.org. The Endowment will meet to discuss to pending business. The Convention Planning Committee Meeting. The Board of Governors quarterly meeting.